2) Saute all the veggies except potatoes starting with carrot and cabbage since it takes longer to cook. 3) Add all the dry masalas and let it cook for a min. 5) Add salt and mashed potatoes. 6) Turn off the heat and then add lemon juice. 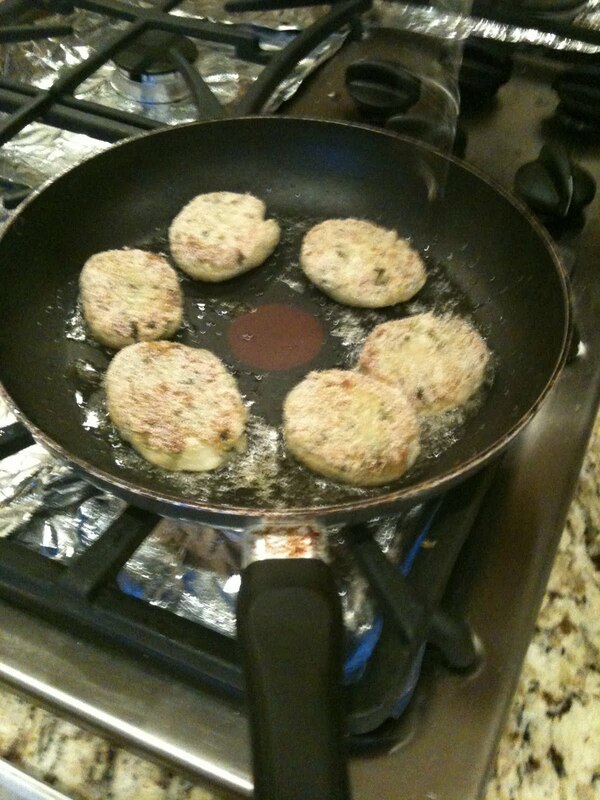 8) Coat each cutlet with either semolina or breadcrumbs and shallow fry till golden brown. 9) Garnish with salad leaves and onion rings and serve with Green chutney or tomato ketchup. You can add any other veggies of your choice like grated zuccini,spinach, even arugula.